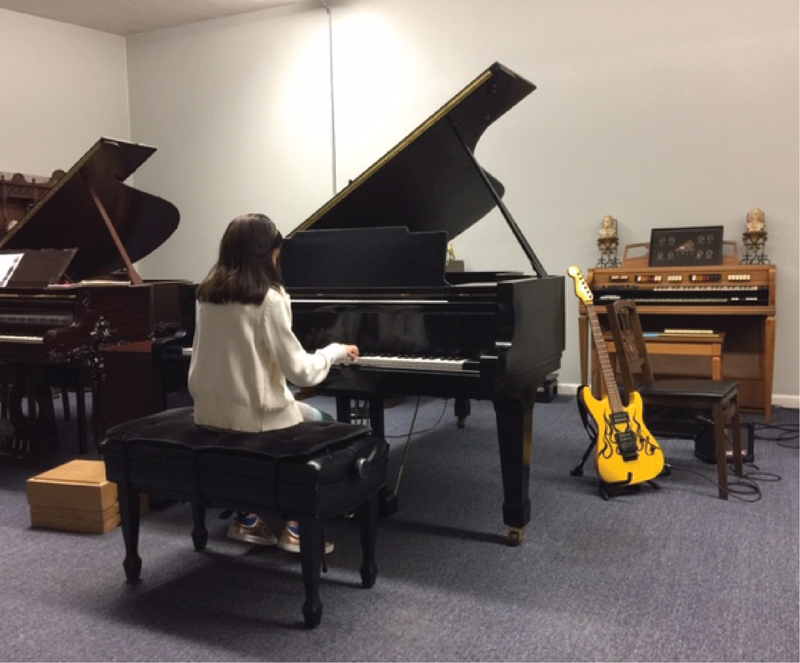 Established in 1994, we are a music school with well-seasoned, experienced, independent music teachers, who offer music lessons on various instruments. We promote the love of music and the arts in blending education and pleasure. Our students thrive in beautiful surroundings. We teach all ages – early childhood, youth, teens, adults, and seniors! Private lessons offer one-on-one sessions that perfectly fit your needs. Certification and audition preperation included. San Mateo’s finest music school for Clarinet, Drums, Electric Bass, Flute, Guitar, Harp, Music theory, Percussion, Piano, Saxophone, Violin, Viola, and Voice. We have a large recital hall to rent for concerts, programs, memorials, and more. We Welcome our Newest Teachers! Kay Kleinerman, who came aboard in March and teaches voice. Irina Behrendt, who came aboard in January and teaches piano. Pauline Lin-Lu, who also came aboard in January and teaches piano and flute. Howard Cespedes, who came abord last year and teaches, clarinet, flute, and saxophone. Dennis Norby, who also came aboard last year and teaches drums. Congrats to students of Vija Norkvesta and Irina Behrendt in passing their CM testing! The Certificate of Merit provides a standard of curriculum that a student's musical excellence in performance, technique, ear training, sight reading, and music theory. Let your teacher know if you wish to sign up next year. Lessons on B is hosting its annual Honors Concert this Friday (April 5th)! All are welcome to enjoy this celebration of music. The performance will be at 7:00 PM in Studio 1527. Light refreshments and snacks will be provided. Pursue your musical dreams now! We promote the love of music and the arts in blending education and pleasure. Our students thrive in beautiful surroundings.